Cambodian Prime Minister Hun Sen said Monday Cambodia is already prepared itself for the ASEAN- proposed meetings on March 24 on Cambodia-Thailand border conflict near the 11th century Preah Vihear temple. 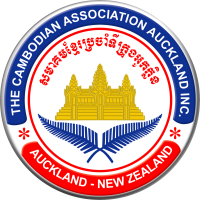 "Cambodia has already prepared to depart for Cambodia-Thai General Border Committee and Joint Border Committee on Demarcation for Land Boundary in Bogor, Indonesia on March 24-25 under the presence of ASEAN chair," he said during a graduation ceremony for students at the Royal University of Law and Economics. "Now we are waiting Thai side's confirmation of participation." Hun Sen repeated that ASEAN chair has to join in the opening ceremony of the meetings, and after Cambodia and Thailand discuss, the two sides have to report to ASEAN chair about the results. "And if any agreement needs to be signed between Cambodia and Thailand during the meetings, Cambodia will ask the third party (ASEAN chair) to sign together," he said. Cambodia's General Border Committee will be lead by Defense Minister Tea Banh and the Joint Border Committee will be lead by Var Kimhong, the president of it. Meanwhile, the premier said that so far, the tension between Cambodian and Thai troops over the border dispute is rather calm and troops from the two sides even played volleyballs together over the weekend. "However, it's still fragile, I hope that both sides will continue to exercise their most restraints," he said. The premier announced that Cambodia will no longer allow Thai troops to come to worship at Wat Keo Sekha Kiri Svarak pagoda next to Preah Vihear temple. The International Court of Justice ruled in 1962 that the Temple of Preah Vihear belonged to Cambodia; however, the row over the 4.6-square-km territory around the temple has never been resolved. Conflict occurred just a week after Preah Vihear temple was enlisted as World Heritage Site on July 7, 2008, since then both sides have built up military forces along the border, and periodic clashes happened, resulted in deaths of troops on both sides. The latest clashes on Feb. 4-7, unleashed a barrage of artillery shells on both sides of the border, had killed and wounded many soldiers and citizens of both sides, and caused tens of thousands of the two countries' villagers nearby the disputed areas fleeing for safe shelters. The Association of Southeast Asian Nations (ASEAN) groups Brunei, Cambodia, Indonesia, Laos, Malaysia, Myanmar, the Philippines, Singapore, Thailand and Vietnam.